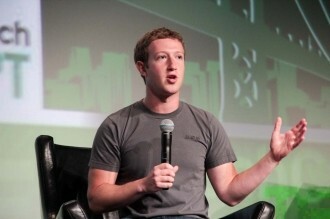 Facebook founder Mark Zuckerberg was a featured guest during TechCrunch’s ongoing Disrupt conference in San Francisco. In his first public interview since the dreadful IPO back in May, the social network founder said the biggest mistake Facebook made was betting the house on HTML5. It’s a move he says cost the company two years of development time. In hindsight, Zuckerberg points out that Facebook should have shifted their full mobile attention to native – that is, building dedicated apps for Android and iOS – instead of working on an HTML5 platform that never reached the quality level his team was after. He goes on to praise the recently-released updated iOS app and says an Android version will be released soon. When pressed further for a release date, he said it’ll be ready when it’s ready. Throughout the course of the interview, Zuckerberg made a concerted effort to drive home the point that Facebook is now a mobile company. But even with the newfound focus on mobile, he squashed rumors that his social network is developing a branded smartphone despite several probing attempts from the interviewer. He said a Facebook phone just doesn’t make any sense from their perspective and instead, they were focusing on deeply integrating Facebook into as many devices as they could. When asked about the IPO specifically, Zuckerberg did a good job of sidestepping the question, simply saying its performance thus far had been “disappointing” but they are committed to their shareholders and will do things to build value over the long term.